We develop exceptional problem solvers. The Bryan School is one of the largest business schools in North Carolina, offering eleven undergraduate, six masters, seven graduate certificate, and three PhD programs. The School holds dual accreditation in business and accounting from the AACSB – a distinction held by only 1% of business schools in the world. We produce the principled leaders and exceptional problem solvers that communities and organizations need. Our vision is that the Bryan School of Business & Economics shall be recognized as the premier business school among regional public universities in the U.S.
We are a learning community characterized by a spirit of inquiry, pursuit of continued improvement, professionalism, trust, ethical behavior, and good citizenship and are committed to the University’s values of inclusiveness, collaboration, sustainability, responsibility, and transparency. In the Bryan School of Business & Economics, we create and disseminate knowledge about the theory and practice of business. In addition to our courses and research, we accomplish this through hands-on projects, global experiences, and outreach to the community. Our work produces principled leaders and exceptional problem solvers who have a global perspective, an innovative mindset, a broad understanding of sustainability, and a commitment to improve the organizations in which they work and the communities in which they live. Dean Banks joined the Bryan School of Business and Economics as Dean in July 2011 and is the Margaret and Harrell Hill Distinguished Professor of Entrepreneurship. 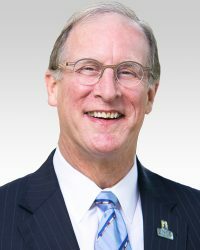 Under his leadership of the Bryan School, a new vision and mission were developed in 2011, spawning numerous changes. 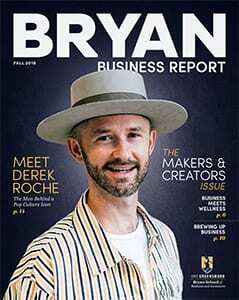 The Bryan School is now recognized as an up-and-coming business school and its faculty and administrators are having an increasing impact on national and international conversations in a number of ways. Enrollments have increased substantially; student retention and graduation rates have risen, among many more exciting developments.